Inspired by The Hop‘s amazing dish (theirs has lamb sausage, kale almond pesto and poached eggs), here is our simplified recipe. Use whatever sausage you like (turkey, pork, lamb or chicken would all work well) or add some drilled tofu for a veggie version. The only sausage I wouldn’t try is seafood since it’s delicate flavor would probably be overwhelmed by the cheesy polenta and the kale. 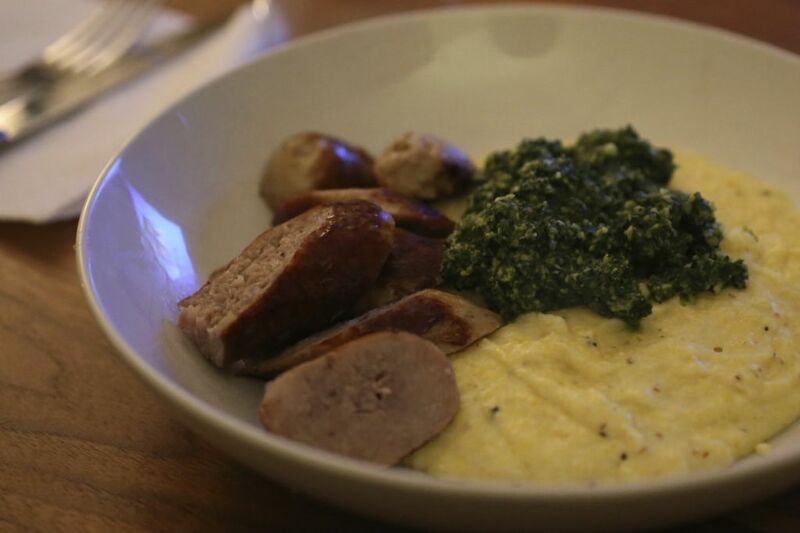 I’ve posted separate recipes for the polenta and the pesto, so for this, all you need to do is brown the sausages and serve. Preheat a medium sauté pan. Add a little olive oil and brown the sausages, turning often, until fully cooked (6-10 minutes). Let the sausages rest for about 5 minutes. Slice them about an inch and half thick, on a diagonal. 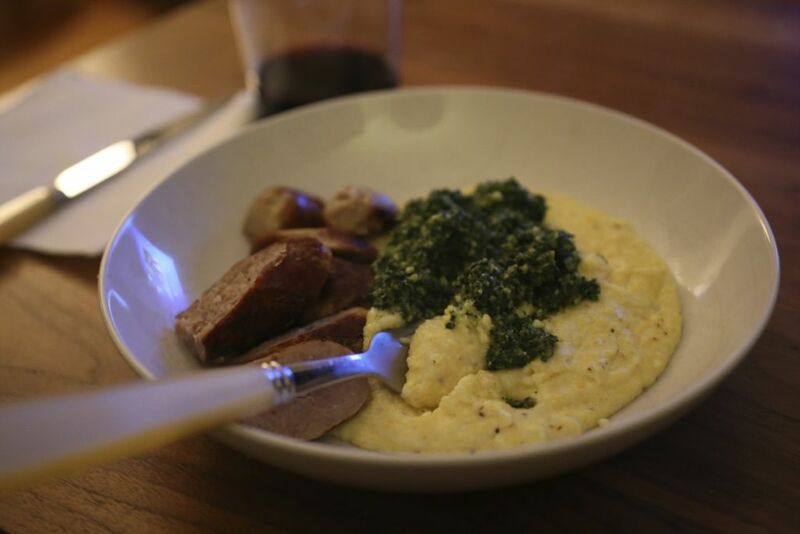 Spoon some polenta in a wide bowl, top with a large dollop of pesto and the sausage. NextBrunch at The Hop. Finally.